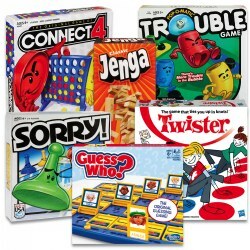 Make after school and summer learning fun with our variety of games that reinforce classroom learning and key skills such as problem solving, reading comprehension, and math. 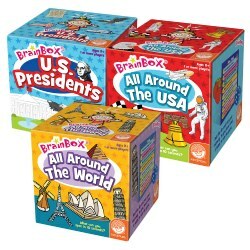 Entertain and challenge students while educating them on key concepts such as matching, counting, colors, and numbers. 4 years & up. 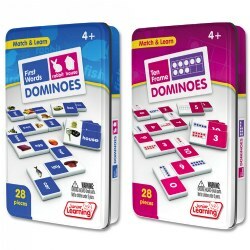 A fun educational twist on the classic game of dominoes. 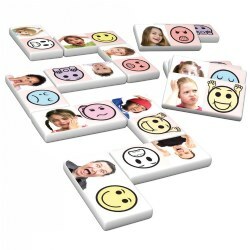 Learn how to identify different feelings and emotions with this Emotions Dominoes Game by Junior Learning. Match each person's face to the emotion that fits. 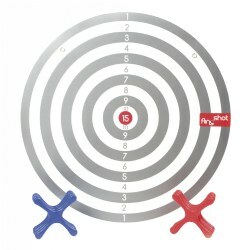 In order to win the game you must get rid of all of your dominoes by matching each of the ends correctly with other dominoes on the playing field. No part of the domino can touch a non-matching domino. 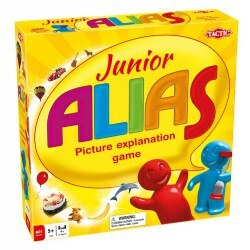 Included: 28 Emotion Dominoes, Storage Tin, and Game Instructions. 5 years & up. Take on the challenge of explaining words and pictures to your teammates without actually saying the word that is being explained. 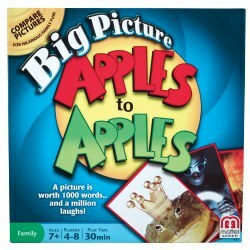 In this fast, frantic, and funny game, describe your word and pictures using synonyms, hints, uttering sounds, etc. Even children that can't read yet can join in on the fun by explaining the picture. Each team tries to guess as many words as possible before time runs out. For 4 or more players. 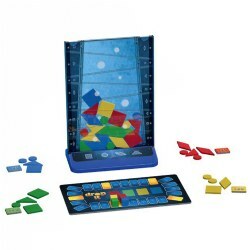 Included: Game Board, 300 Cards, 6 Game Pieces, Sand Timer, and Instructions. 8 years & up. It's a strike! 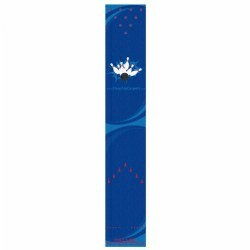 This Strikes N' Spares© Bowling Skills Carpet is the perfect addition to every bowling game. Carpet is durable and will stay wherever you put it due to skid-resistant rubber backing. Complete with foul line, dots, arrows, and numbered pin set spots. Machine washable. 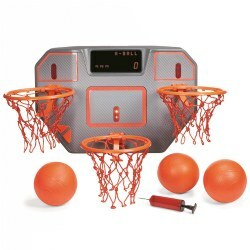 Measures 20'L x 40"W. Does not include bowling pins. Features: Scotchgard®-Protector - stain protection for superior soil resistance and Anti-microbial treatment which inhibits growth of mildew and mold. 4 years & up. 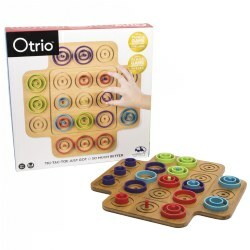 This cool board game teaches the basics of programming to preschoolers! Learning to play the game is easy and minutes to play. 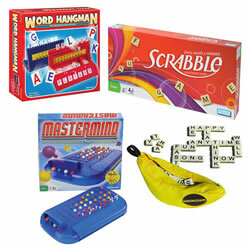 Children learn programming, from coding to functions through fun play. Once the turtle reaches a jewel, that player is the winner! 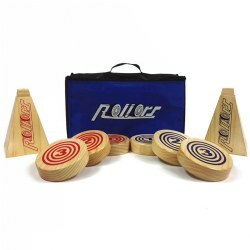 Up to 4 players can participate. 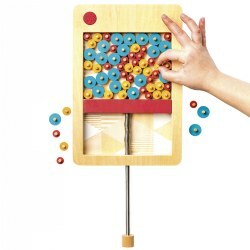 A great STEM toy, play encourages the development of planning and sequential reasoning skills. Measures 10.5" L x 2" W x 10.5" H.
10 years & up. 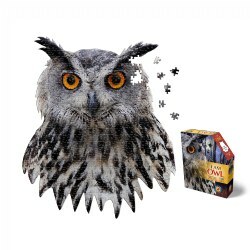 Piece together a masterpiece of nature with this beautiful Owl puzzle by Madd Capp™! Challenge yourself to complete this head-shaped jigsaw puzzle to reveal a majestic poster-sized Owl. 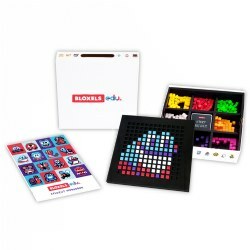 This puzzle features a fun facts sheet and a full puzzle image for reference. 550 Pieces. 10 years & up. 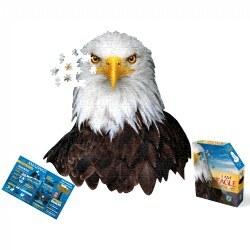 Piece together a masterpiece of nature with this beautiful Eagle puzzle by Madd Capp™! Challenge yourself to complete this head-shaped jigsaw puzzle to reveal a majestic poster-sized Eagle. 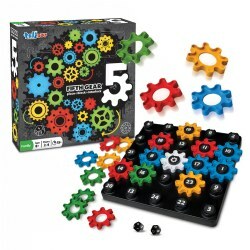 This puzzle features a fun facts sheet and a full puzzle image for reference. 550 Pieces. 10 years & up. 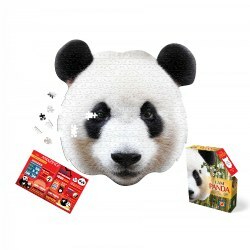 Piece together a masterpiece of nature with this beautiful Panda puzzle by Madd Capp™! Challenge yourself to complete this head-shaped jigsaw puzzle to reveal a majestic poster-sized Panda. 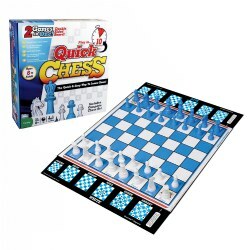 This puzzle features a fun facts sheet and a full puzzle image for reference. 550 Pieces. 5 years & up. 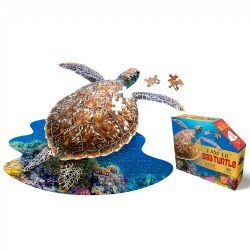 Go wild piecing together a majestic Sea Turtle with this animal-shaped jigsaw puzzle by Madd Capp™! 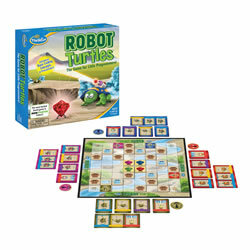 Complete this special die cut, uniquely designed puzzle to reveal a poster-sized Sea Turtle. 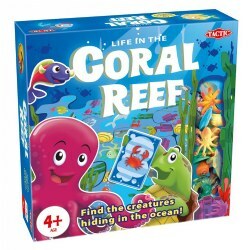 This puzzle features a fun facts insert and animal image for reference. 100 Pieces. 5 years & up. 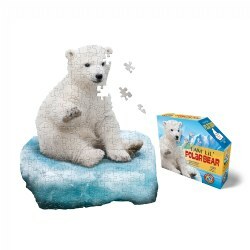 Go wild piecing together a majestic Polar Bear with this animal-shaped jigsaw puzzle by Madd Capp™! Complete this special die cut, uniquely designed puzzle to reveal a poster-sized Polar Bear. This puzzle features a fun facts insert and animal image for reference. 100 Pieces.